Sampurna Chanakya Neeti Gujarati is a Gujarati translation of the Sampurna Chanakya Neeti, Chanakya’s treatise on the ideal way of life. The Sampurna Chanakya Neeti Gujarati has risen from Chanakya’s detailed study of the Indian way of life. It contains 455 sutras or aphorisms that acquaint people with the dos and don’ts of life. Many of these sutras have stayed surprisingly relevant in modern times. Several of these sutras, collectively called Raja-Neeti, discuss the art of ruling a kingdom. It is believed that Chanakya used the Raja-Neeti sutras of this treatise to groom the first Mauryan emperor, Chandragupta Maurya. The original works of Chanakya were published after their discovery in 1915. This edition was published by R. R. Sheth & Co. Pvt. Ltd. It has been written in the Indian language of Gujarati. Chanakya was an ancient Indian philosopher, teacher, diplomat, and chief advisor to the first Mauryan Emperor, Chandragupta Maurya. He wrote two books, both of which continue to be relevant several centuries later. One book, the Arthashastra, explores the duties of a ruler, monetary policies, and war strategies. 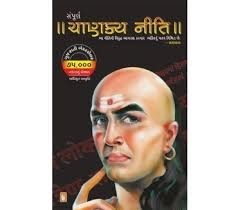 The second book, Neetishastra or Chanakya Neeti, puts forth the ideal way of life. Chanakya was born circa 370 BCE. He was educated at the Takshashila University, where he then became a teacher. Later on, he played an instrumental role in the establishment of the Mauryan empire by mentoring its young emperor, Chandragupta Maurya. Chanakya died in Pataliputra circa 283 BCE. The details of his death remain disputed. His life and work continue to be the subjects of discussion in various media, giving rise to films, books, and other academia that further Chanakya’s legacy.